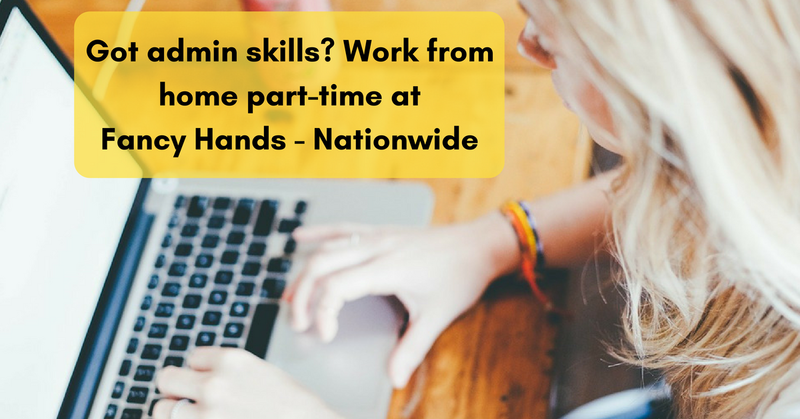 If you’re looking for a side gig from home, Fancy Hands hires people nationwide to do basic administrative tasks. The company says it needs people 24 hours a day — it accepts clients from all over the world — so you can work at 4 am or 5 pm or noon or midnight. It’s up to you. Tasks run the gamut. Depending on your skills and the tasks you choose, you might be doing data entry, handling reservations for a restaurant, finding a dog walker, adding appointments to a Google calendar, arranging for a housekeeper to clean an apartment, or cancelling a customer’s cable TV. “Tasks are worth anywhere from $3.00 to $7 per task and go up from there,” the company says. We’re currently hiring people to work as assistants for thousands of very discerning users of this site. If you have fast internet connection and the ability to use common websites and software, this could be a lot of fun. We’re looking for smart people who want to help build a great company and get paid. Keep reading if you’re interested. Are you good on the phone and great at internet research? This could be the perfect position for you. Making phone calls on behalf of people. Canceling their cable (a lot harder than it sounds). Important You need to have an audio headset (with a microphone) to do this job (in some cases iPhone headphones work just fine). To start, you’ll get paid per task depending on how quickly the task is finished, what time of day it is, and how complicated the task is. For example, let’s say you have 5 different tasks to make reservations at a restaurant. To start, tasks are worth anywhere from $3.00 to $7 per task and go up from there. Many people work for Fancy Hands for extra cash, or for work-at-home experience, or to keep their resumes current while they’re looking for full-time jobs or jobs with benefits. (Fancy Hands hires independent contractors rather than employees.) The company has 2.1 to 2.5 stars out of 5 on Glassdoor, which is lower than many we see, and 3.3 on Indeed. Workflow and per-task pay can vary, so you probably shouldn’t count on it as a primary job. The title of the role is Virtual Assistant. For more detail or to apply, click here. For more jobs like these, be sure to check our Newest Jobs & Gigs page. To get our new job postings ASAP, like our Facebook page and check your feed for our posts. May you be working from home soon! This entry was posted in Earn Extra Cash, Part-Time Jobs, Virtual Assistant, Work at Home Jobs and tagged Fancy Hands. Bookmark the permalink.